Stainless Steel Coop Cups- Clamp On 20 oz. Only Cup is Stainless Steel. 30 ounce may be a little un-stable when filled. 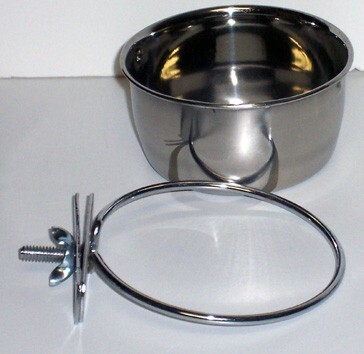 Stainless Steel Coop Cups- Clamp On 10 oz. Stainless Steel Coop Cups- Clamp On 30 oz.